Some of my friends complain that my facebook profile picture is outdated and many of them requested that I update it. I got angry and decide to delete the picture entirely without uploading any new one. At first, I thought that deleting my facebook profile picture will be that easy. It dawn on me when I discovered that facebook profile picture deletion button has been removed. I did long futile searches through facebook help center, blog posts and ad-laden Web sites just as I did when search for a way to change my facebook fan page url but a simple solution that worked was never found. Fortunately, I was able to concoct a decent workaround which I am sure others have stumbled upon. 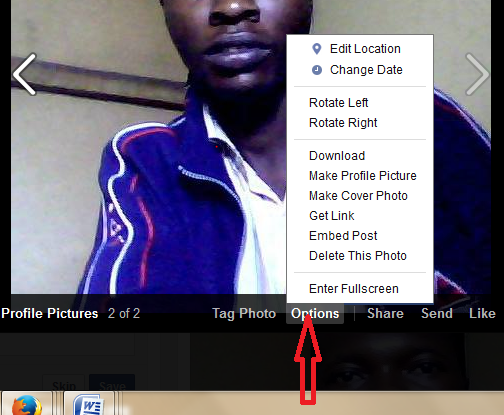 HERE IS HOW TO DELETE YOUR FACEBOOK PROFILE PICTURE. Follow the instruction; it is just a workaround. 1. 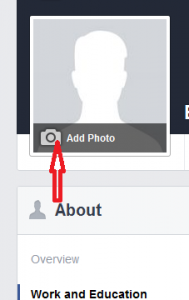 Click on the edit profile button beside your current profile picture on your facebook home page. 2. Hover over to your current profile picture. 4. On the new webpage displayed; click on Upload photo. You can upload any photo from your computer or select any photo from your photo timeline. 5. Hover over your newly uploaded facebook profile picture and click on the photo. As you click on the new uploaded photo, a horizontal navigation bar containing; tag photo, options, shares, send and like button will be displayed. 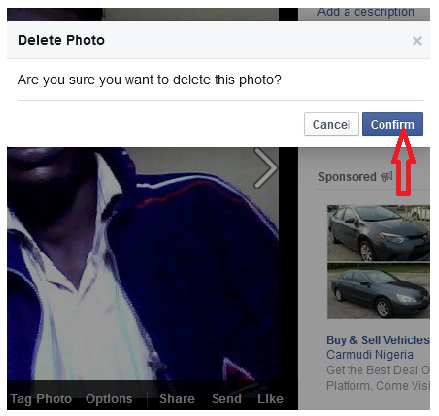 You can follow the above steps to delete your facebook profile picture on blackberry, ipad, iphone etc. but where it doesn’t work on your mobile device using laptop or desktop to do this becomes the best option. PLS NOTE: deleting your facebook profile picture on low end devices like nokia phone, Samsung phone, Tecno etc may not work.